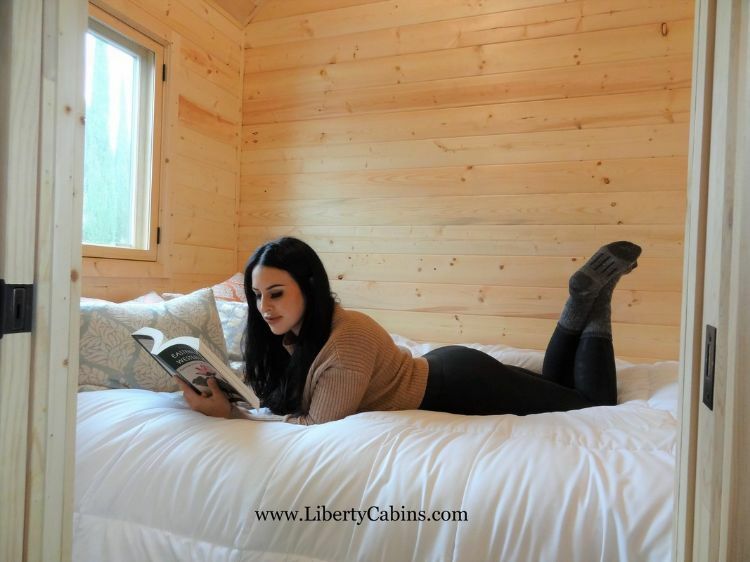 Liberty Cabins create affordable, luxurious RVs that are perfect for traveling in style or off-the-grid living. 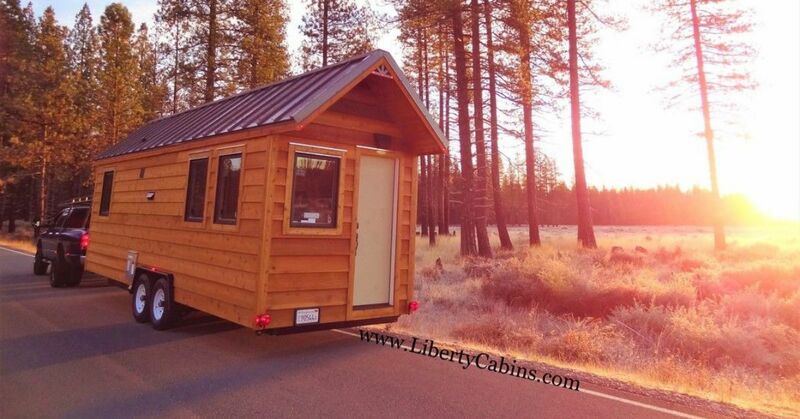 The Northern California company uses top-of-the-line products for campers that truly function like full-size homes. 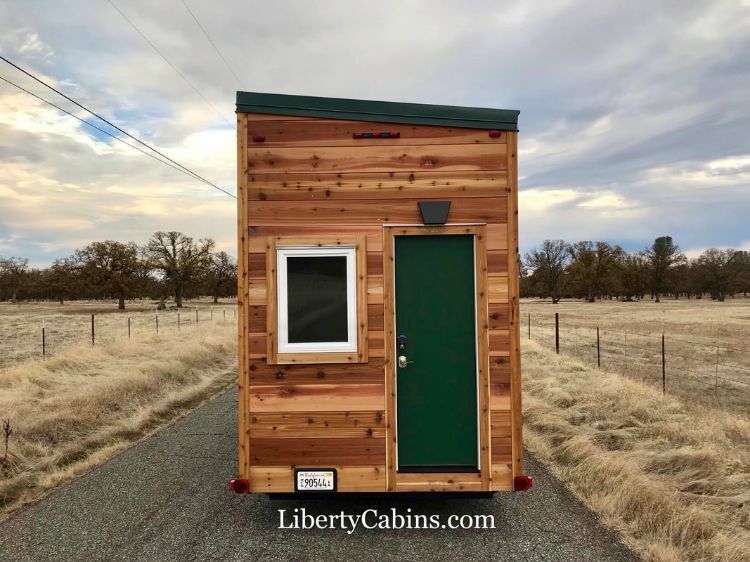 This standard model features a first-floor bedroom as well as an extra loft, fully functional kitchen and a private bathroom lined with Western red cedar and equipped with a shower and a standard toilet (which can be swapped for a composting toilet upon request). The exterior siding is Western red cedar stained with Superdeck. Stainless steel screws are evenly spaced for function as well as a clean aesthetic. Sierra Pacific windows feature powder-coated frames, and the green metal roof is available in an array of custom colors. 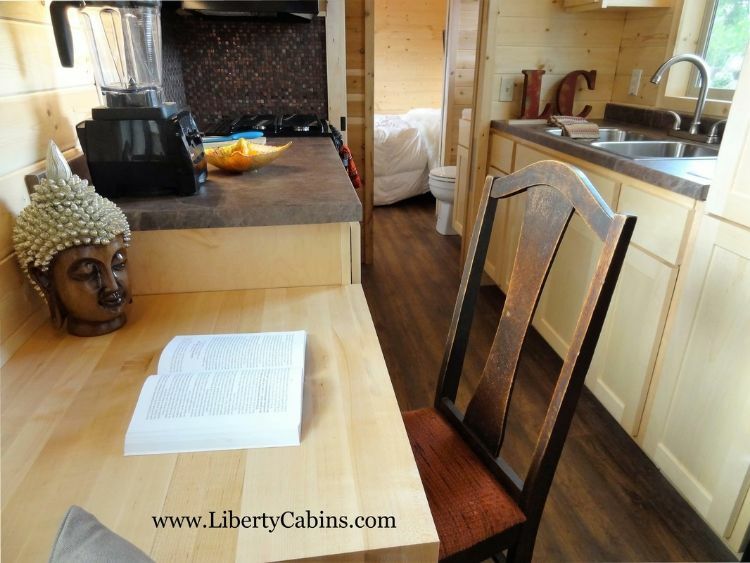 A small reading or dining area is sized with enough space to catch up on work while concealing the electrical interface for the unit underneath. Near the entry, a custom sofa features ample under storage and can be outfitted in a bevy of cushion colors. 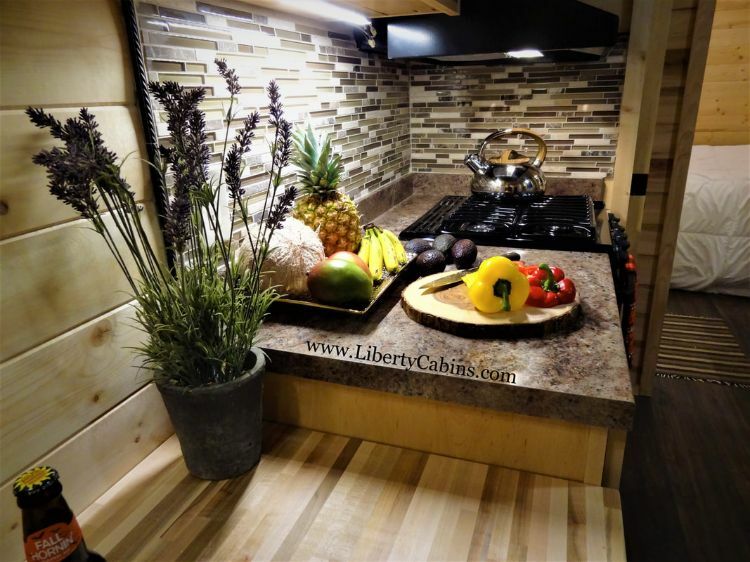 In the kitchen, a standard-style range features a compact stovetop with vent fan and a fully functional oven. There is also a built-in microwave. Prep-counter lighting illuminates the counter space next to a mid-sized, apartment fridge. Twin basin sinks in stainless steel accompany solid wood drawers and cabinetry. 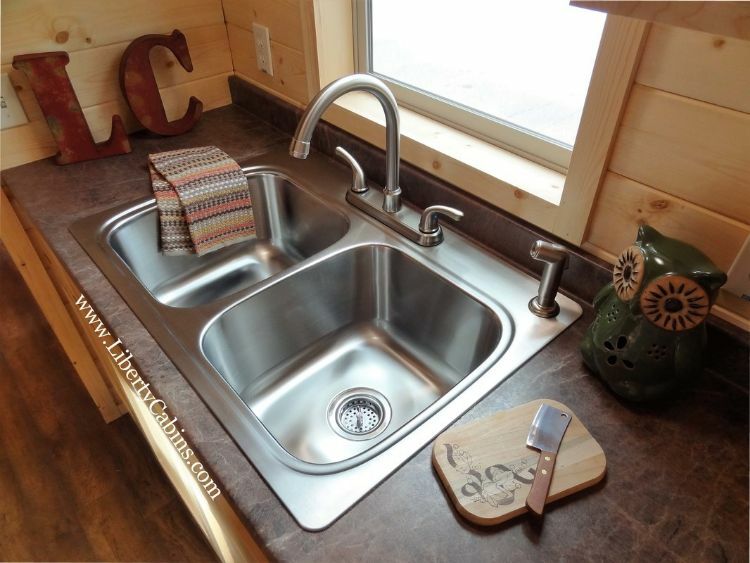 Tilt-outs under the sink are just the right size for stashing a sponge or dish soap. 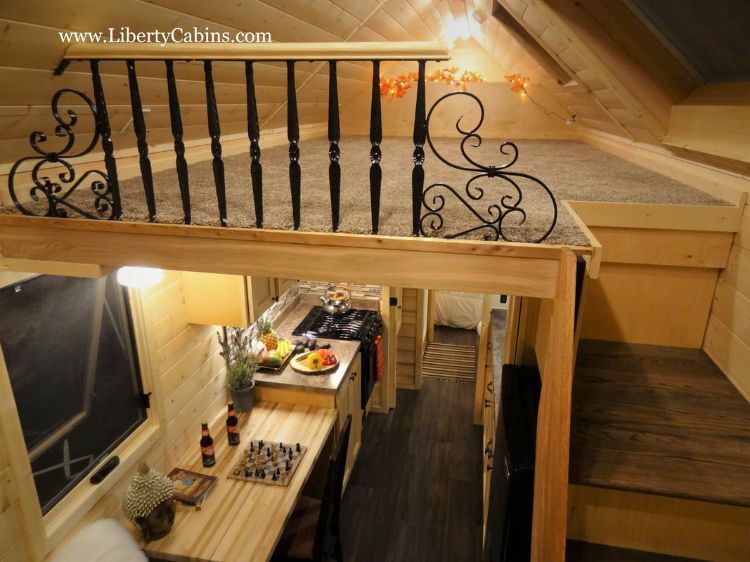 At the far end of the camper, a private bedroom is roomy enough for a full bed with ample storage underneath. At the foot of the bed, a wireless-mounted TV offers a cozy place to snuggle up to a good movie. Above, carpeted storage provides space to stash shoes or laundry baskets. A rolling maple ladder leads up to the carpeted loft space that can serve as an extra sleeping area if storage space is not needed.